I think this is correct. You'll never find a one size fits all approach, or even 3-6 sizes fit all, as strange as that sounds. My wife has small ears and the only way she can wear the liberty is without any of the jackets and the smallest ear tips and even still, its too big for her tiny ears. I'm curious about how these compare to the Liberty and Liberty+ buds. Anyone got any insight yet? I'm still skeptical the whole idea is good. So many negative reviews with the Liberty+ on real issues like one bud loses connection, blockages, and I doubt even lite can be light enough. I expect the $99-$149 price. I expect the $99-$149 price. Hopefully not! Supposed to be $69. £59.99 for U.K.
Soundcore's Liberty Lite truly wireless earphones are finally available to order via Amazon US! 12-Hour Playtime: Get 3.5 hours' playtime from a single charge with 9 extra hours in the compact charging case. PUSH AND GO™ Technology: Simplified setup ensures ultra-fast pairing. Last-paired device automatically connects on startup. What You Get: Soundcore Liberty Lite, Charging Case, XS/S/M/L EarTips, XS/S/M/L EarWings, Micro USB Cable, our worry-free 18-month warranty, and friendly customer service. Like ZOLO Liberty+, these feature Bluetooth 5.0, but they do NOT offer the transparency mode (sound isolation). Pricing and Availability: Soundcore Liberty Lite are available to order via Amazon US right now for a cost of $79.99 (was $69.99), and should begin shipping immediately. 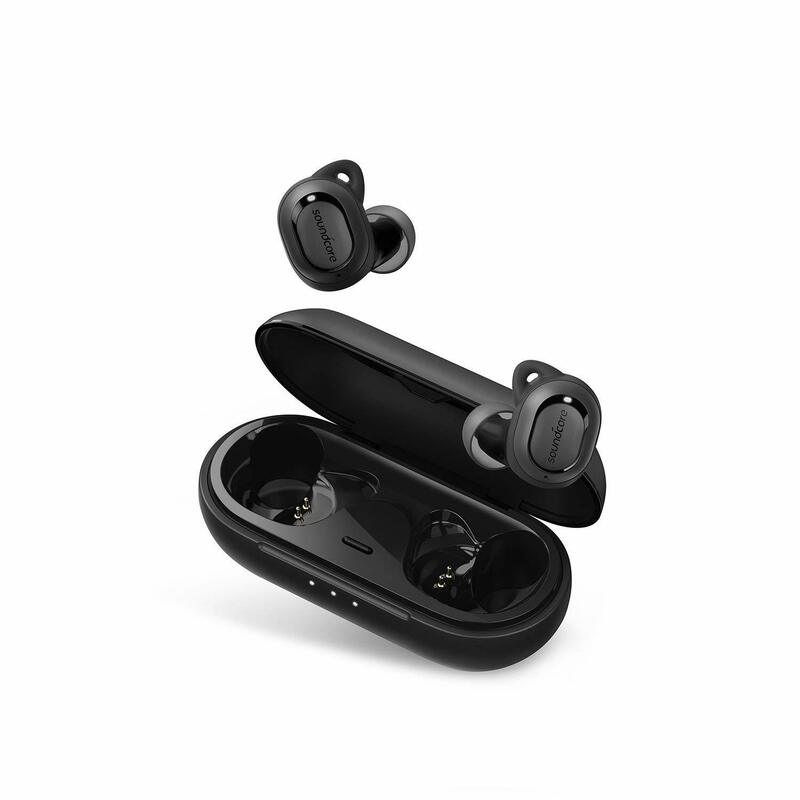 What are your thoughts on Soundcore's first truly wireless earphones? Let us know everything you're thinking by replying! Really? I like the aluminum Liberty+ case and the headphones are easy to remove once you figure out how, but that was one of my cons originally. The regular liberty case made of plastic could use some improvements but I doubt that's going to happen it looks like Zolo is on the way out. The king is dead long live the king. Well I ordered them on 11th of July for $69.99. They they were removed or out of stock for a day or two, checked the listing again and they raised the price to $79.99. WEIRD. I've never seen an Anker/Soundcore product increase in price, only be discounted! I got a pair recently. Haven't had time to try them out much but pairing was easy and sound so far has been good enough for the convenience. Enough bass and not too bright. Still trying to get the right fit, will probably be using them with the default jacket that doesn't have the wings. Might try some comply foam tips instead of the included ones. I got them today (Amazon US) for $65 using a Kinjadeal promo code SDCLBT66. My liberty lite not working with FB messenger please advice! You should create a new post. This one is quite old!